We just recently compiled a list of stock images that could be used for Christmas and New Year designs. 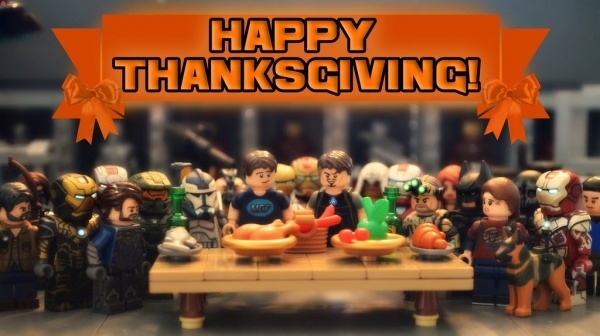 But before that happens, there will also be a thanksgiving week which will have its own particular set of designs. 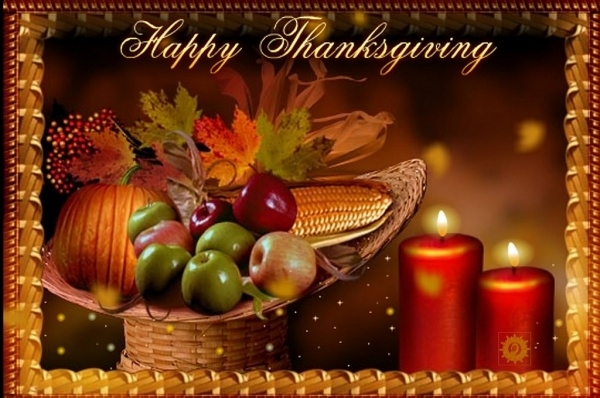 And the elements for the thanksgiving designs will be quite different from the others; just like the stock images listed below for free happy thanksgiving images are different from that of Christmas collection. Scroll through the following pages to download these great free stock images. You may also see Free Thanksgiving Coloring Pages. 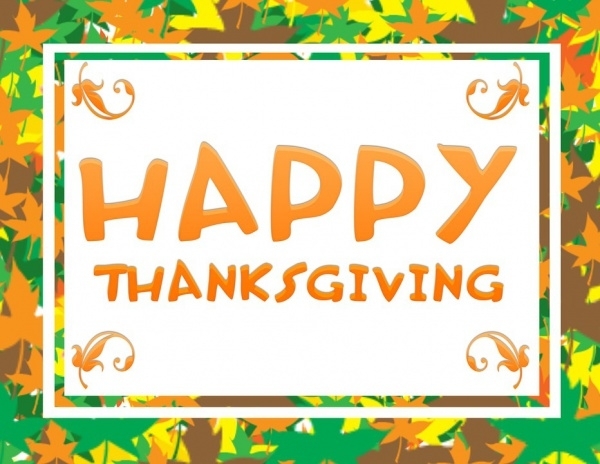 The first one on the list is probably the one you will ever need for creating a great and cute thanksgiving design. This design is not an image but a vector and you can easily rasterize the vector to get the image format. 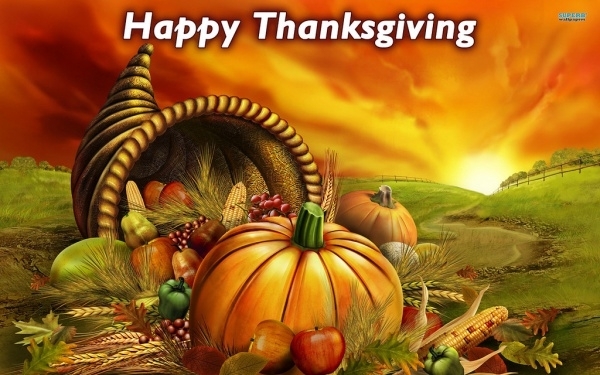 You may also see Free Thanks Giving Clipart. 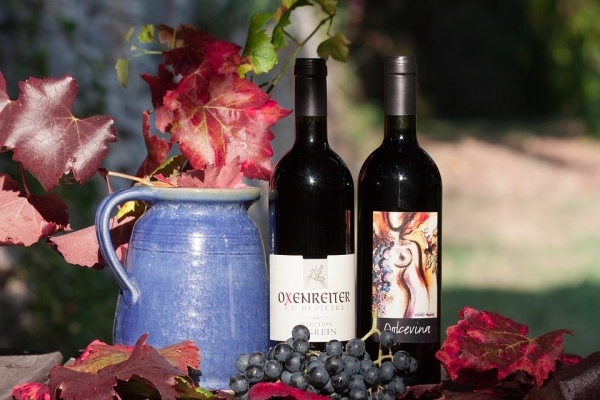 This one is a realistic image that shows wine bottles, autumn leaves, and other items. You can use this image for free for even your commercial projects. Make sure to credit the photographer for the same. 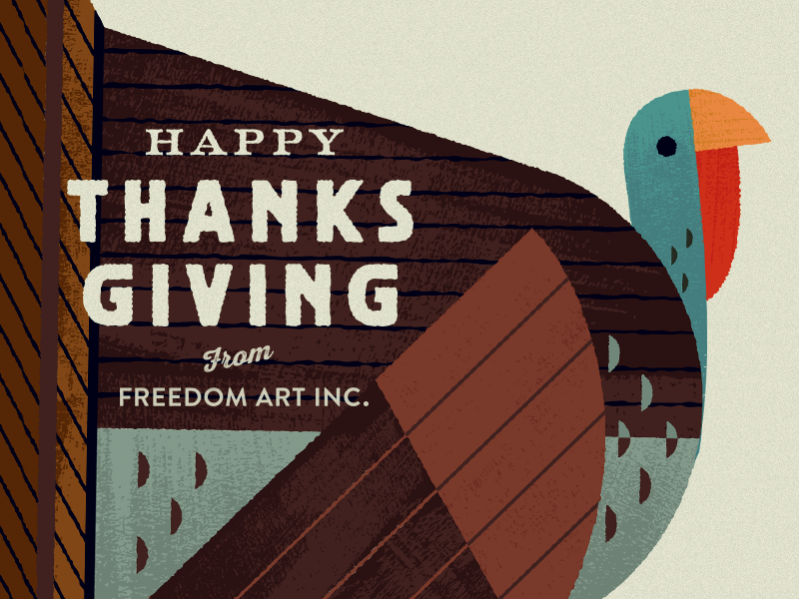 You may also see Free Thanks Giving Cards. Take out your camera and dress up your pet to make them part of your design projects. 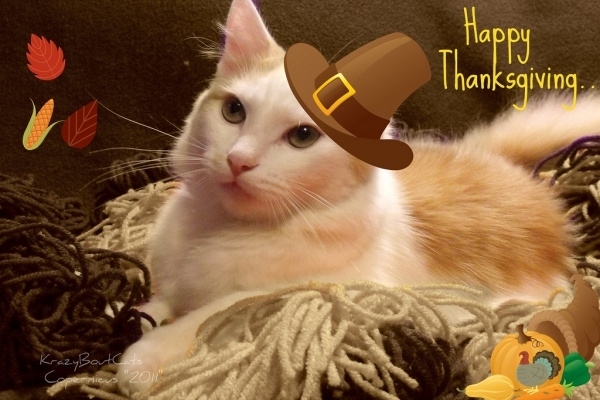 Or you can use this image of the cat wearing the digitally put hat along with other elements that have been placed in the image. 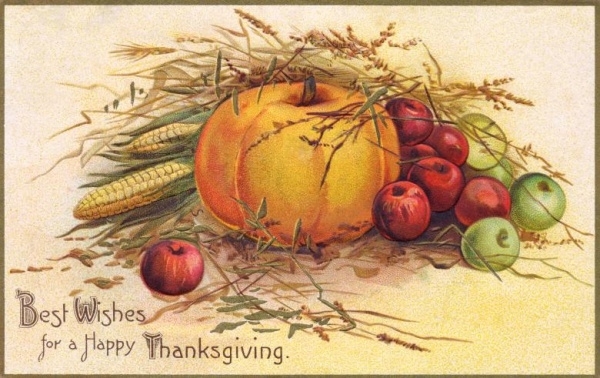 Check out this cool vintage and retro looking image that you can use as a cover image for your thanksgiving greeting card. You can download this design by Nicholas Raymond as a free image from the given link. 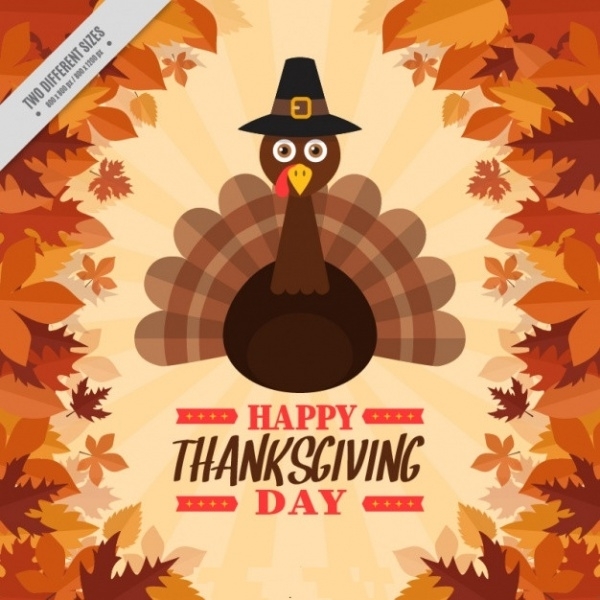 Here is the work of Polish graphic designer Krzysztof Filipecki that shows a great design mockup for a thanksgiving card. Download this image to use it as a reference for your own design idea. This one is a simple design on a bold background color. You can easily recreate a similar design with some ornamental artwork for the frame and a choice of novelty font for your text. Here is a design shared to us by Ukranian artist Julia Boyko. 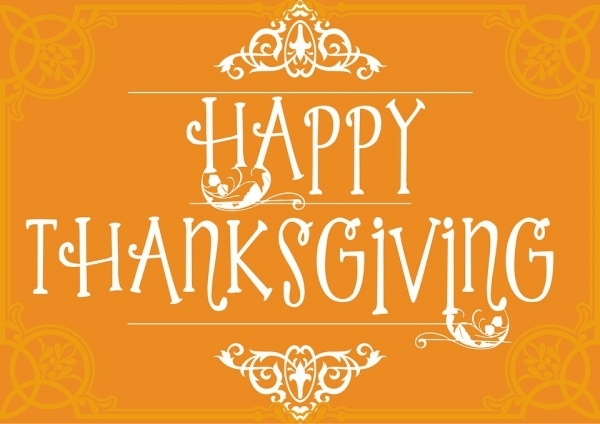 The design is an illustration for a happy Thanksgiving Day theme and you can easily make it a part of your own design. This too is a stock vector illustration that you can easily convert into an image. Being a vector, you can scale it to different sizes and also make the customizations before you rasterize it. 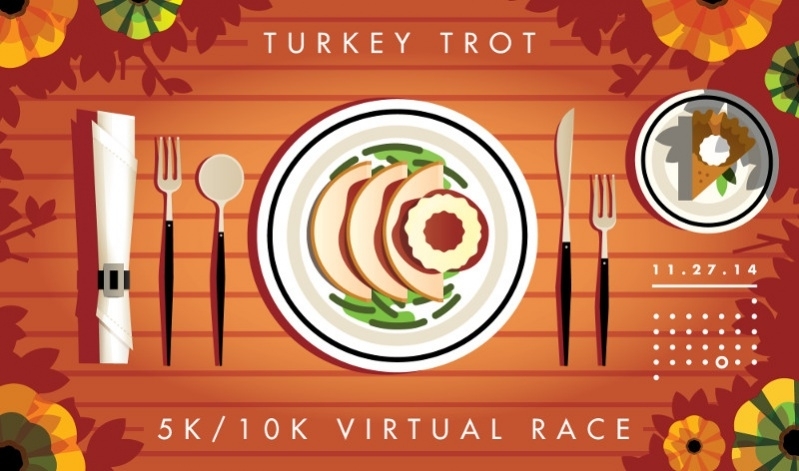 Check out this cool representation of a digitally illustrated turkey, that is the tradition of Thanksgiving Day. The design has been shared by Freedom Art Inc. and is for you to use as a design mockup. If you want, you can show off your design skills with the artwork you use for your project. And here is a really detailed work of a professional design that you can download for free. 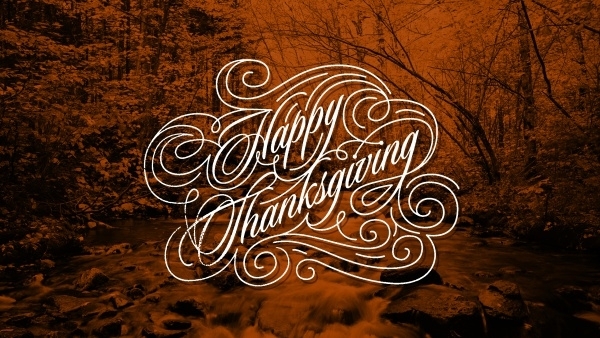 We have already got a few vintage looking designs for the thanksgiving day. 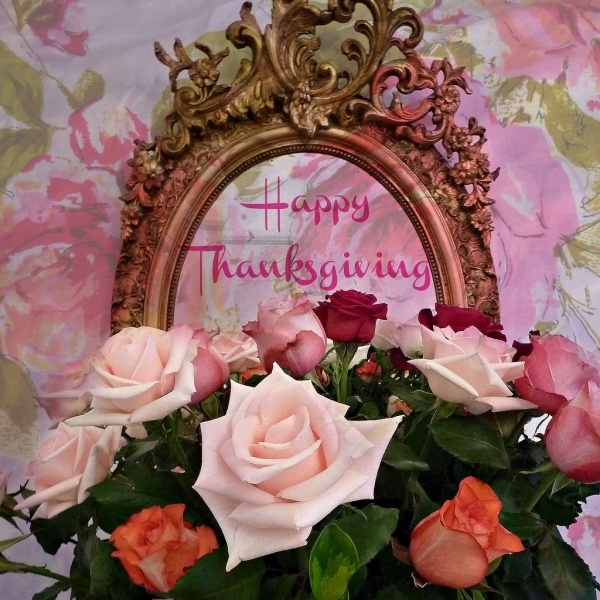 Here is another one to add to the list that will give your design an antique look, making it relevant to the entire tradition of thanksgiving. This image is something that you can easily recreate in a few minutes, as long as you have the background texture. If you don’t have the time for those 5 minutes, download this image with just a click of mouse button. 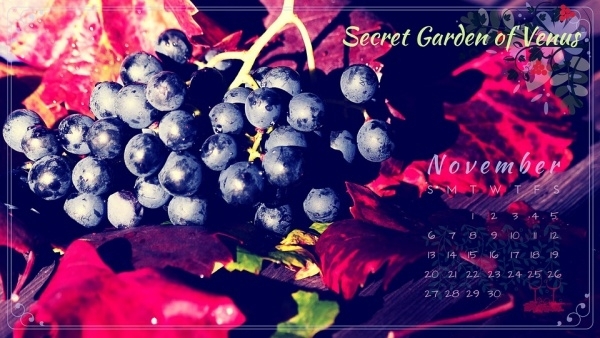 This image can act as a background for your cards and dinner invitations for thanksgiving. But you might want to change the choice of typeface and make it edgier. Find the different sized download here. Just now we mentioned about the choice of font for a simple design can add more to it than just words. And here is a great design that shows you now it can be done, along with the decorative ornamental lines. Just like the first, the last one too might be all you will ever use for a quirky and funny, yet professional looking design. There are two size options for you for this stock vector illustration that you can convert easily into an image. There is not much to explain how you can use these images. 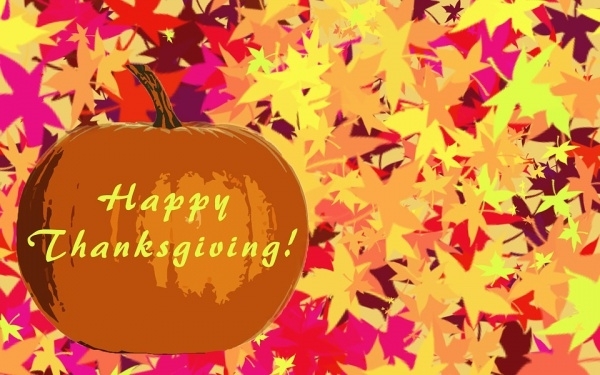 These free happy thanksgiving images are mostly available even for commercial use. 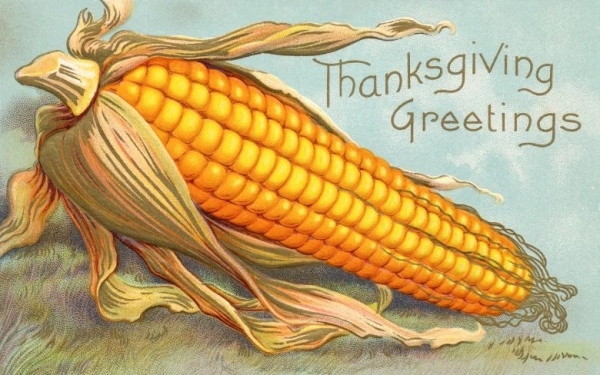 You might have found these images under the category of thanksgiving, but that is not what you have to always use it for. There is a very high chance that you saw an image but thought of a different project where you may find it useful. Some of these images are available as vector illustrations that you can even edit and customize before turning them into printable images. Along with these images, and some design ideas for a thanksgiving project, you can easily impress your clients without a lot of effort. 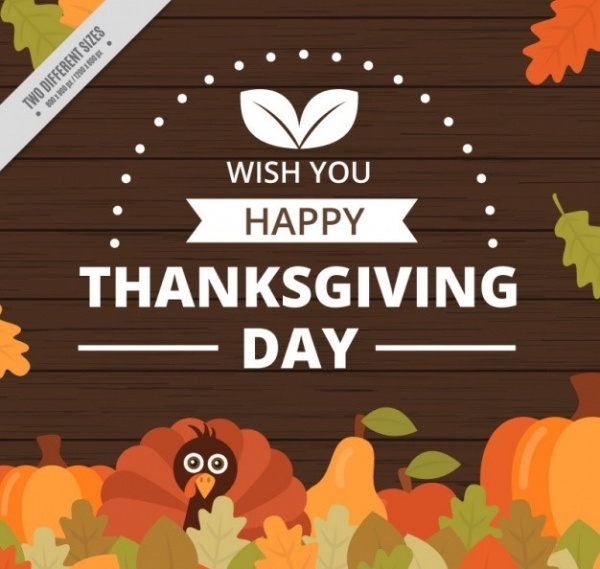 So now that you have got your resources for the thanksgiving designs ready, create your own invitations and greeting cards for your friends and family. And show off your design skills apart from just your clients. And you can always add a touch of personalization to make it more relevant to the individual who the design is for.